In farm fields across the globe, Bayer Crop Science is planting and harvesting seeds to help farmers improve the global food system. Bayer Crop Science, formerly Monsanto Company and now a division of Bayer, is one of the largest agricultural companies in the world. It provides products and services to enable sustainable agriculture for hundreds of thousands of farmers. Bayer Crop Science, a division of Bayer, provides a range of products and services to enable sustainable agriculture for farmers worldwide. The company offers seeds, seed treatments, herbicides, insecticides, and other products to help farmers control pests and weeds and maximize crop production. 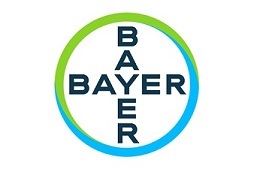 Because several Bayer Crop Science departments had already been using Amazon Web Services (AWS) cloud technologies for various internal use cases, the company’s IoT team chose to move its data-collection and analysis pipeline to AWS IoT, a cloud platform for managing connected devices and applications. “AWS IoT had the functionality and features we wanted to enable fast data collection and analysis from our machine sensors in the field,” Subrahmanya says. The company was specifically interested in AWS IoT Core, which can support trillions of IoT messages and reliably process and route those messages to AWS endpoints. Bayer Crop Science built a new IoT pipeline, based on AWS IoT Core, that manages the collection, processing, and analysis of seed-growing data, including temperature, humidity levels, and current soil conditions. The solution captures multiple terabytes of data from seed transportation, planting, and growing in the company’s research fields across the globe. Its data analysts use the new data collection platform to access real-time data on their mobile devices via dashboards. The company is also planning to use AWS IoT Analytics to capture and analyze drone imagery and data from environmental IoT sensors in greenhouses for monitoring and optimizing growing conditions. Using its AWS IoT–based data pipeline, Bayer Crop Science has real-time data collection and analysis capabilities for its global seed business, and it can collect an average of one million traits per day during planting or harvest season. Data analysts can now use their mobile devices to quickly view and analyze data coming in from harvest field machine sensors. “In our seed business, it’s all about getting better and faster visibility into what’s going on in the fields during planting and harvest within our breeding research and supply chain organizations,” Subrahmanya says. “Using AWS IoT, we can get seed data to analysts in just a few minutes instead of a few days. They no longer have to wait until tomorrow to see if a batch of seed harvested yesterday is good or not.” With faster data analysis, the company can ensure corrective actions in the field and it can meet customer SLAs for quality control, so seed can be ready to advance to the next stage. By gaining faster access to field data, Bayer Crop Science can make better business decisions about seeds and growing conditions. “We are getting real-time data ingestion of temperature, soil, and humidity measurements, so we can more easily understand the traits of seeds and crops,” says Subrahmanya. The company can now scale its IoT solution easier than before because of the AWS Cloud, making it possible to gather and analyze growing data volumes as IoT initiatives expand. “We can accelerate IoT analysis projects throughout the company because we can scale the data collection and the entire pipeline,” Subrahmanya says. In the near future, Bayer Crop Science plans to use AWS IoT Analytics and AWS IoT Greengrass to incorporate proactive alerting at greenhouses and manufacturing facilities. Learn more about AWS IoT.